VestaCP has serious security bugs. You need to update now. Typically, when you buy a hosting package, the hosting provider will create a cPanel account and ask you to provide a primary domain, which will be used for the primary domain. However, if you choose a high quality hosting package, large capacity and website ( using the main domain ) you use still have space left, you want to use the remaining space to do hosting for a website. others, then this is when you need to function ” Addon domains “ ( subdomains ) of cPanel. 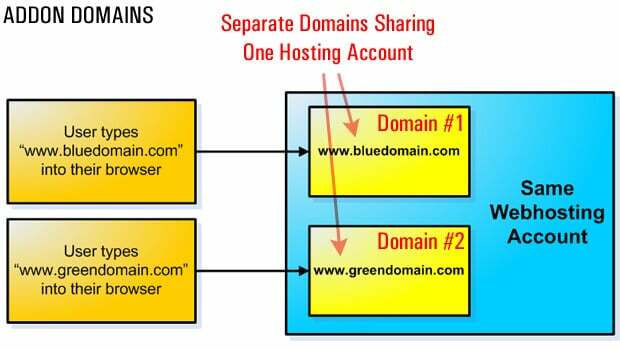 Simply put, Addon Domains is a tool on cPanel that allows you to run more than one website in the same hosting, another source web. For example: You buy a hosting with the domain name is temien1.com , your upload source code directory will be / public_html / . When you use cPanel’s Addon Domains function to add a subdomain ( eg tenmien2.com ), the upload source code directory (the default ) will be /public_html/domain2.com/.